This patented, ultra-rich body cream – Murad Body Firming Cream - improves resiliency by increasing body firmness by 20% in 10 minutes and restoring maximum moisture. 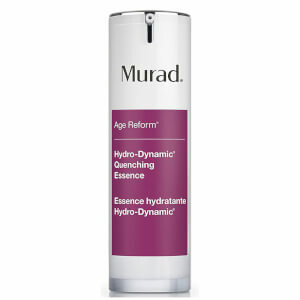 The amazing results are achieved by the advanced formula found within this Body firming Cream from Murad. Vitamin C increases elasticity and radiance, whilst shea butter provides intense hydration to dry skin and soy flour and oat beta glucan firm and tone your skin. I haven't noticed any change after beginning to use the product. With the price tag I expected some actual results. 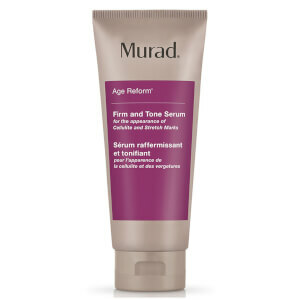 Murad Body Firming Cream is an amazing product! I absolutely love it. Unfortunately, I can only afford to buy it when good deals or promotions are on, but it is brilliant and I cannot fault it. Hi! I bought Murad body firming cream to use mainly on my stomach after a pragnancy. Not only do my skin feels tighter on my stomach, but also on my hips and thies were I used the cream! :) I am very satisfied with it! Very nice silken cream! And it works! from the first time i used it, i was in love with the scent and feel of this cream. it leaves your skin radiating and this radiance seems to last at least a few hours. murad body firming cream is one of the nicest i ever used. i am very happy with my purchase. the eye cream i was offered because i bought 2 creams is marvelous as well. murad is my new favorite brand! Leaves your skin shiny and silky. Slightley perfumed with a tender smell. Just love it! This is the first time using Murad creams . I purchased 2 as it was on offer and received the wonderful eyecream free. I have a special birthday coming up in September and want my skin in tip top condition. Its just brilliant and my skin feels amazingly soft to the touch and can see the increase in firmness . The smell is wonderful and long lasting. Will definately by buying this again. Its a gem!! Murad body cream - fantastic! The special offer encouraged me to try this product - and the free eye wrinkle cream - and I love the results, smooth mattified skin :) and speedy delivery! Happy!